It’s that time of the week again. 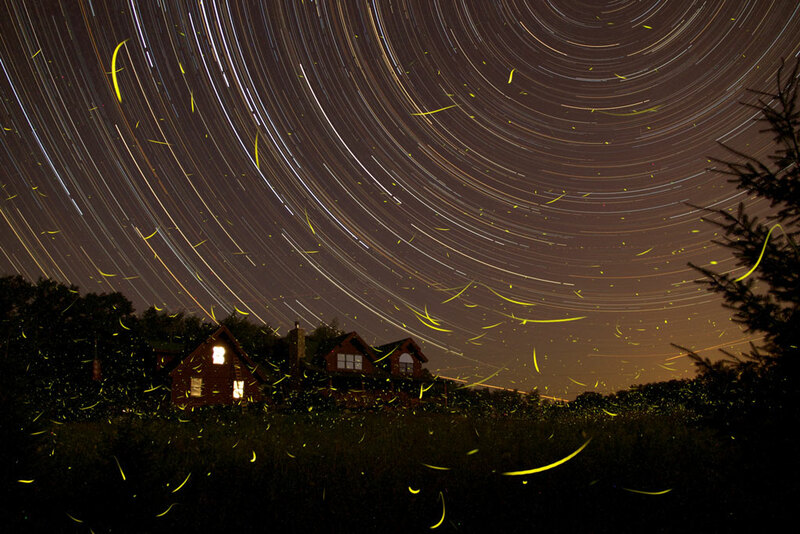 Let’s start with what might be my favourite image of the year, a long-exposure shot of star trails with fireflies. Go to NASA’s Astronomy Picture of the Day to see it larger or super-big. Two ancient Persian drinking horns: shaped like a wild cat — shaped like a wild goat [maybe a Nubian Ibex?]. A Greek wine-cooler decorated with soldiers riding dolphins. A medieval Russian church gate. A C14th painting of a Tibetan abbot. Acrobatic weaver birds — tunicates — shark with lionfish — a flashy bustard. Articles: Sperm whales have culture. Fish form shoals the size of Manhattan. Beautiful corsets: C18th Spanish — C19th American. A Jean-Paul Gaultier jacket. American typography: Lectures on Ventilation — library paste — red stamping ink. Curious buildings: Laos — Mali — Portugal. All at Sea, Claire Partington 2011. Egon Schiele’s bedroom, 1911. Aurora Borealis, Frederic Edwin Church 1865. Île-Saint-Denis, Willy Ronis 1956. Allegory of the Planets and Continents, Giovanni Battista Tiepolo 1752.